Pump Hands Free with the Pump In Style! 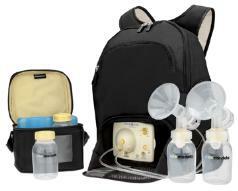 This breastpump is ideal for working mothers. The only retail pump available with the professional performance needed to stimulate and sustain mother�s milk supply over extended use. $224.00 Need to add Quick Clean wipes? 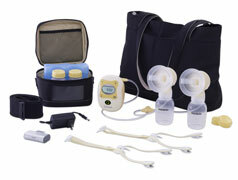 Make sure you are purchasing from an Authorized Dealer with Medela Inc. for full warranty. Click here to view Mothering From The Heart listed as an Authorized Dealer.